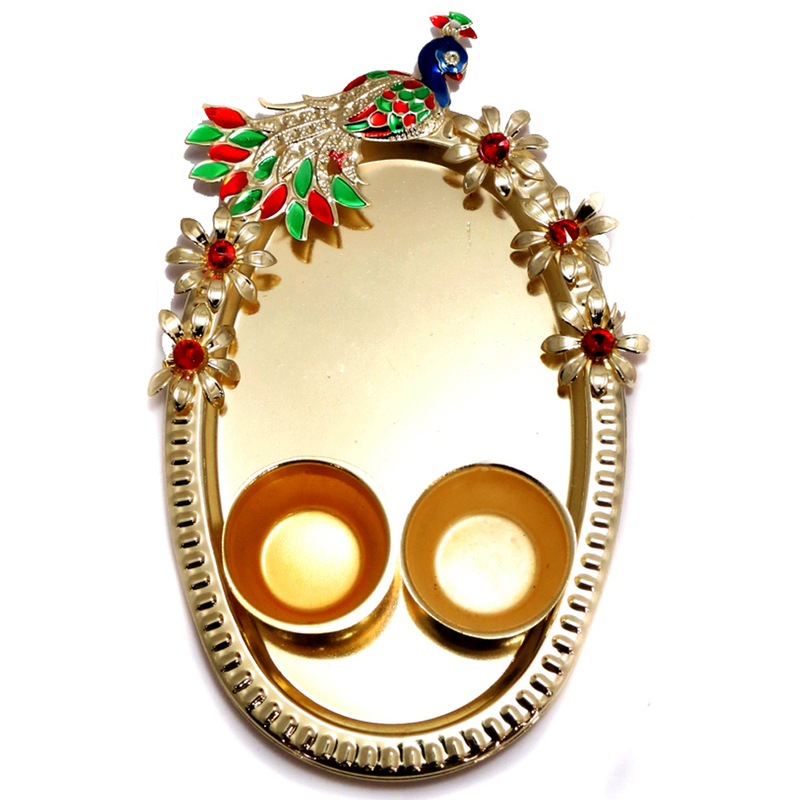 This pooja plate is something everyone would want to have. The sides of this plate are well knit with design work. the interior bottom of Read More..the plate has some colourful stone designs on one of its sides. 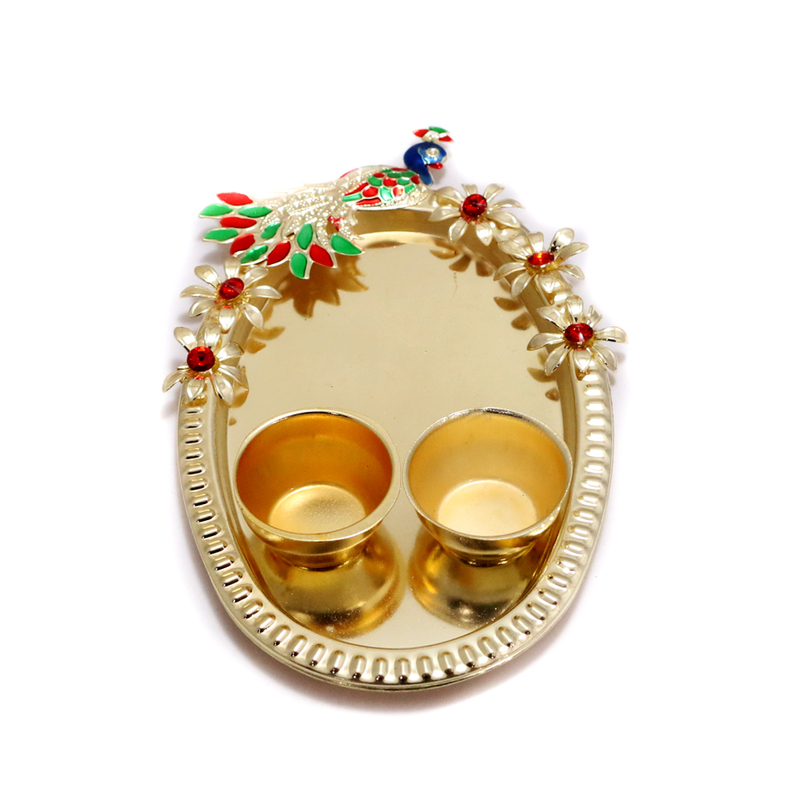 It also comes along with two small bowls to keep kumkum and rice. Show Less..